It looks like a familiar Adams Foster face will definitely be making an appearance on the upcoming Fosters spinoff, Good Trouble. 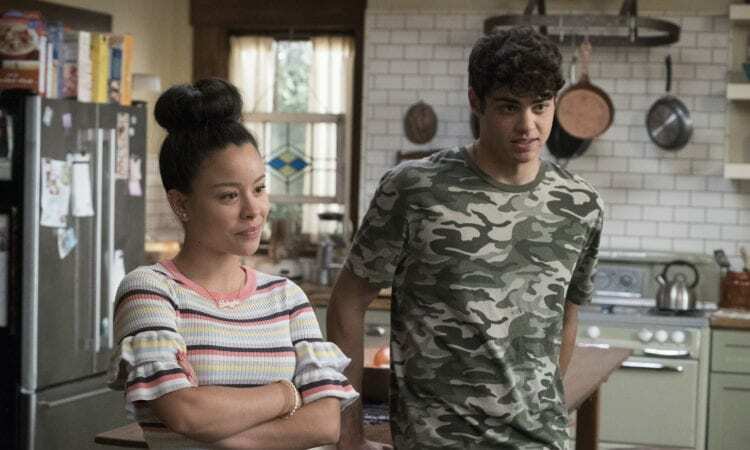 Noah Centineo, who is fresh off an awesome performance in Netflix’s latest rom-com To All the Boys I’ve Loved Before, confirmed on social media today that he would be reprising his role as Jesus Adams Foster on the series. 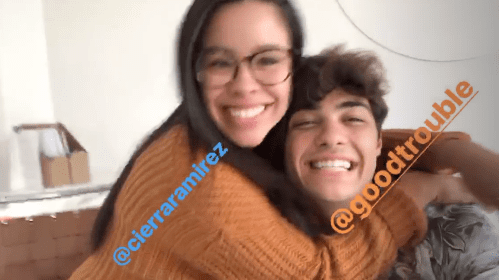 In a story posted to his Instagram, Centineo revealed that he was on set with a familiar face before being joined by Cierra Ramirez, who played his twin sister Mariana Adams Foster on the series,” Reunited and it feels so good!” they exclaim! Good Trouble finds Maia Mitchell and Cierra Ramirez reprising their roles as Callie and Mariana Adams Foster as the two girls move to Los Angeles to begin their lives as young adults. Mariana will be entering the world of tech and Callie will be continuing with her social work. As of now, IMDB currently has Centineo appearing in two episodes out of the thirteen episode first season. The Fosters was one of Freeform’s most beloved scripted dramas and it was executive producer Peter Paige’s hope that the spirit of the Foster Adams family would continue to live on through the spinoff, which had fans hoping familiar faces would pop up throughout it. “Part of the entire reason we wanted to do a spin-off was to keep the family alive. You live with your family for a while and then you move out into the world and you still have your family, you just don’t get to see them every night when you go home for dinner. One of the reasons we said, ‘Yes, we absolutely have to make this show,’ was so that we could keep the entire Fosters clan alive,” she told EW earlier this year. The series ran for five seasons and 104 episodes, with its series finale airing earlier this year in June. It followed the ups and downs of an interracial lesbian couple and their multiethnic family of biological, adopted and foster children. Centineo joined the series midway through season three when he replaced Jake T. Austin as Jesus. Centineo is quickly becoming a leading man for Netflix’s young adult original films. He just appeared in To All the Boys I’ve Loved Before, which premiered last weekend to rave reviews by critics and audiences and will soon be starring in Sierra Burgess is a Loser alongside Stranger Things star Shannon Purser. You can check out the trailer for that, which hits Netflix on September 7th, below! Good Trouble will be hitting Freeform this January!